The New England Patriots have established themselves as the dominant team in the NFL. They have has won three Super Bowls in five years, and it has been down to the work of Bill Belichick, the head coach of the indomitable team since 2000. Bill Belichick has won eight Super Bowls in his career thus far and he is widely recognized as one of the greatest coaches in the game’s history. 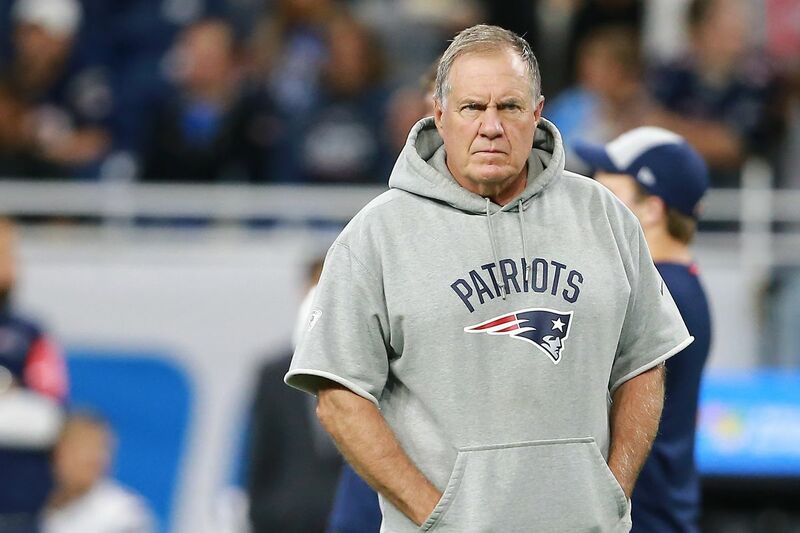 Even though there are those who resent the Patriots for the success they have had in recent years, the man leading the team, Bill is one of the most adored men in the game. Learn more about the man who has created the NFL super team below. Bill Belichick currently holds so many records, one of which is being the longest-tenured active head coach in the NFL. Longevity such as that is only achieved through success and a lifelong dedication to the sport. For Bill Belichick, that dedication started since he was a young boy. Born to Steve Belichick and Jeannette Belichick on the 16th of April, 1952, Bill has been involved in football, becoming a master of the game even before he made it to college. His father, Steve was an assistant football coach for the United States Naval Academy and through him, Bill learned to read the game, a fact that placed his father as one of the greatest football mentors of the legendary coach. Although he played football as a student at Annapolis High School and then at Wesleyan University, Belichick was never a professional football player. Interestingly, during high school and college, lacrosse was Bill’s favorite sport. As a football player, Bill played center and tight end positions. He graduated in 1975 from the university with a degree in economics. Having caught the coaching bug from his father, Bill Belichick, instead of pursuing a job in the corporate sector with his economics degree, took a $25 per-week job with the Baltimore Colts as an assistant to the head coach. During his first three years as a developing coach, he worked for three different teams – The Detroit Lions, Denver Broncos and the Colts. As mentioned earlier, Bill Belichick is known as the longest-serving coach in the NFL and he got his first taste of such impressive longevity with the New York Giants. He joined the New York Giants in 1979 after leaving the Denver Broncos and spent 12 years there. During his time with the team, he worked as a defensive assistant and special teams coach. He also worked as a defensive coordinator and was part of the Giants team that won the Super Bowl twice in the 1986 and 1990 seasons. It was the first set of many Super Bowl victories for the legendary coach. After leaving the Giants, shortly before starting his long and current stint at the New England Patriots, Bill Belichick spent time at the Cleveland Browns, the New York Jets before signing for the New England Patriots in 2000. His decision to join the Patriots in 2000 made it his second stint at the football team after he had spent one season at the Patriots for the 1996 season. Since he joined the Patriots in 2000, he has become a cult-like hero and it is not difficult to see why. He has an amazing record of 225 regular season wins since he joined the team and 30 wins in the playoffs. In the Super Bowl, he also has a 6-3 record. Furthermore, he has led the New England Patriots to 16 AFC East Division titles. With a record such as his, there is no doubt about the fact Belichick is one of the highest paid coaches in the NFL. Over the course of his career, the legendary coach has been able to accrue a total net worth of $35 million and his annual salary is believed to be $7.5 million, a figure that makes him the third highest paid coach in the league. Belichick has been married just once, to Debby Clarke. Their marriage ended in 2006 due to alleged infidelity on the part of the coach. He was reportedly in a relationship with Sharon Shenocca, whom he met back when he was a coach for the Giants. Since the marriage ended, Bill Belichick has been in a relationship with Linda Holliday, a former TV host, and current CEO of the Bill Belichick foundation. The two have been together for over 10 years. Belichick’s marriage to Debby Clarke may have ended but its fruits continue to live on. Their marriage produced three children, Amanda, Brian, and Stephen, but his daughter, Amanda seems to be the most prominent of the lot probably because she has taken up his father’s first love, lacrosse. She is currently the head coach of the lacrosse team at Holy Cross College. She also attended Wesleyan University, graduating in 2007.